If it is printed or on the web Andrew Burdett Design can produce it. The business was started in 1999, making us the Peak District’s longest established design agency. Andrew Burdett Design have designed and created thousands of adverts over the years for a wide variety of customers including, restaurants, pubs, car dealerships, furniture manufacturers, holiday companies, garden centres, shops, hair and beauty salons. The list goes on and on. We have the depth of knowledge and creative ability to create eye-catching advert designs that engage your potential customer and sell your products or services. 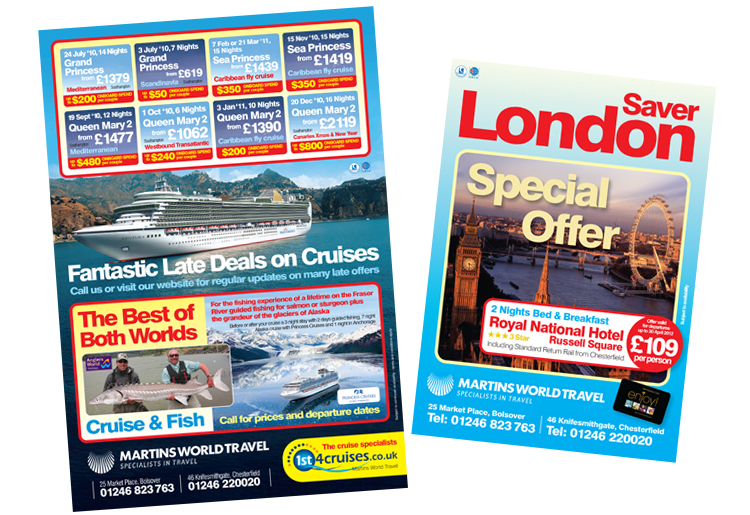 From a simple black and white newspaper advert, to a double page full colour magazine advert, to booking page space, to creating and co-ordinating complete advertising campaigns. 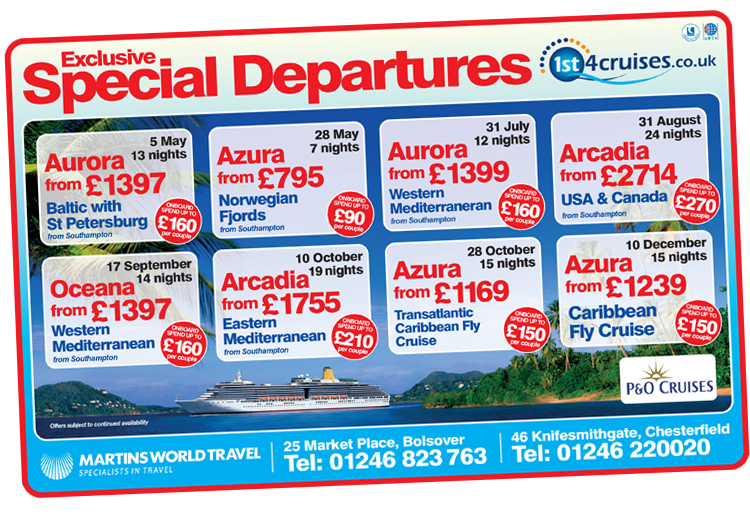 Here are few examples of adverts we designed and created for Chesterfield and Bolsover travel agent, Martins World Travel. Advertising space can be expensive, so you want your advert to work (unlike the often free, rushed, badly designed adverts offered by many publications). 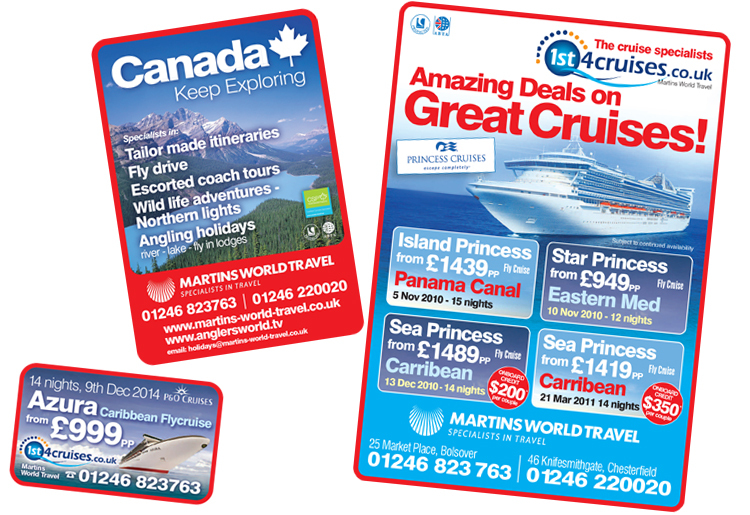 For a FREE quote or to discuss your advert design requirement call the advertisement design experts on 01433 208307.